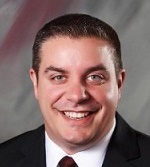 Joe Nugent graduated from Xavier University in Cincinnati, Ohio in 2000 with a degree in Communications and emphasis in Organizational Communications. While at Xavier, Nugent planned and executed all student programming, was part of Student Government and was involved in multiple leadership roles. Event Planning led him to the Holiday Inn Downtown Cincinnati as Assistant Food and Beverage Manager. Here he cut his teeth in the hospitality industry learning everything about operations, food and beverage and catering. Nugent was promoted to F&B Manager and after realizing that his heart was in sales, he transitioned into the role of Catering Manager. Nugent then went to the 345 room Radisson Hotel in suburban Cincinnati which featured over 20,000 sq. ft. of banquet and meeting space before opening the Staybridge Suites, an all-suite, 117 room, upscale extended stay hotel in Cincinnati in April, 2003 as their Director of Sales. The hotel was awarded Newcomer of the Year its first year from IHG and went on to win the Torchbearer Award 3 times and Quality Excellence twice. Nugent was awarded Sales Director of the Year for the entire brand in 2005. IHG presented the opportunity to not just work for the world’s largest hotel company as Regional Sales Director for their extended stay brands, Staybridge Suites and Candlewood Suites, but help multiple hotels in a greater capacity. In this role, Nugent worked with over 30 hotels in the Midwest and also was one of the Senior instructors for their sales classes. His primary responsibility was to work directly with the sales teams to help them maximize revenues and profitability by way of sales calls, analyzing the mix of business at the hotel, working with national accounts and ensuring proper revenue management practices. This role allowed for Nugent to work with multiples hotel owners and management companies, hone his development and financial background and he opened up over 10 hotels. The lure to Florida to be near family was the driving force that allowed Nugent and his family to be transferred to Naples in April, 2011. In that region, Nugent consulted with up to 30 hotels in four states, all with different ownership and management companies. This presented an opportunity to learn more about this side of the business. Having come up through the franchise community his entire career, Nugent was named the liaison between franchise sales and the RSD team and regularly interviewed prospective owners to see if they would be a good fit for the brand. After meeting Fred Hirschovits while Twenty Twenty Worldwide Hospitality, LLC was overseeing one of his hotels, Nugent decided to come back on property to be the Director of Sales & Marketing for the 169 room, award-winning Holiday Inn Fort Myers Airport @ Town Center. Nugent and his wife, Katie, have two children, Logan and Madison. He is the Chair for the Bonita Springs Chamber Area Young Professionals group, on the Chamber Board of directors, is involved in various community organizations and enjoys playing golf and hockey.